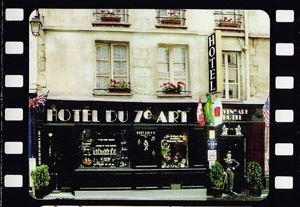 The Hotel du 7ème Art is an ideally located 2 star hotel, in the heart of the Latin Quarter, a few steps away from the Ile St Louis, Notre Dame, and the Pantheon. The hotel’s interior design is very warm and pleasant, each bedroom is unique, with a contemporary design, and the bedrooms are spacious and quiet. This hotel is well served by public transport, and provided with a comprehensive service and comfortable rooms. In addition, a free wifi connection, cable TV, a safe deposit box and air conditioning in the bedrooms are available for costumers.